Christian Writers Need the Body of Christ: I believe there is a pitfall that Christian writers can fall into, if they are not careful. It is similar to the problem I and others have had to deal as pastors. 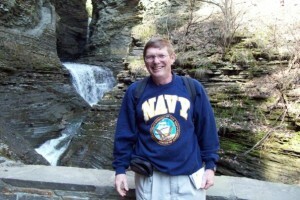 In my preaching and teaching ministry as a civilian pastor and also during a 20 year ministry in the US Navy Chaplain Corps, I sometimes found myself neglecting my own personal devotional Bible reading and prayer. It was not that I didn’t spend time digging into God’s Word or that I didn’t spend considerable time in prayer. However, I realized something many others in ministry have shared with me. Most of my Scripture Reading and Prayer Times were directly tied to preparation work for ministry. I wasn’t spending regular time with just me and my Savior, in the Word, in prayer, and in meditation, opening myself up to the leading of the Holy Spirit. Too often I was neglecting that very personal time just for me with Him. The similar trap that I believe those who have felt God’s leading to write, either as a full-time occupation/calling, or as another aspect of our Christian life, is that we can drift from meaningful fellowship with God’s people. We can try to justify that with faulty reasoning. “Well, I’m a writer. I write Christian fiction (or non-fiction). So that’s what God has called me to do with my time.” And so we spend tons of time, when we are motivated, writing things that we pray will bless some reader somewhere or many readers in many locales. For some of us, we can lose touch with other Christian brothers and sisters. Oh, yes, we may attend our worship sometimes, and we might fellowship on FB or on various BLOGS for Christian writer’s. That’s all good. I find, though, that essential for my continuing to write effectively in accordance with God’s will is my participation in face to face fellowship with members of the body of Christ. I’m talking here about face to face, I can see your non-verbal communication as well as hear your thoughts or read your thoughts on a very one dimensional piece of paper. For me this means being a consistent part of at least one small group. At our church here in N. Brookfield, MA, I’m privileged to be a regular part of three small groups. One is a grief support group, another is a Bible study on contemporary issues. The third is our Christian Writers’ Group that meets once a month. These groups all help to keep me grounded in my faith and give me a sense of community I can never find on any part of the internet. I would ask myself and you this question: How can we write something that will touch till the ground in hearts, or plant seed, or, if God wills, reap a harvest, if we are not growing in our knowledge of God’s Word and in a deepening mutually supportive fellowship in some local expression of God’s family? I know the answer for me personally is, I cannot do that to the best of my God-given calling and ability. I require that support, people to pray with me when I’m hurting or rejoice with me when I rejoice, brothers and sisters who can share a real tangible hug with one another. Our friends in Christ that we can see, share with, be in personal relationship with, become for us what a dear friend once told me was “Jesus with skin on.” I cannot continue to write fiction or non-fiction that will bless others in the wider family of believers without those genuine relationships. Just as I need time with my Savior in prayer, meditation and the study of His Word, I also need other believers. They can help me know when I’m perhaps going astray from what He has called me to write. They can encourage me when I have one of those down-times when writing is a drag. January 25, 2014: E-book is on sale on WAVE CLOUD reduced to $2.99!! New Price is coming for all Versions of my E-book! Stand by for my announcement of the new price for E-books! Whether it’s on I-Cloud, Amazon, Barnes and Noble, the price will be greatly reduced from the current $7.99. I just have to finish up with some paperwork and I’ll make the announcement in the next few days! I’m very excited about this change, because I thought I was STUCK with the price forever. It’s taken a few steps with XULON Press on my part, but I will shortly have total control over the cost of the E-book version. I Thank our Lord for this very good news!!! When widow Abby Finnegan meets ranch hand Kyle Lachapelle, she figures he’s as deceitful as her family. But Kyle is a Secret Service operative working undercover, and Abby has a disturbing connection to his counterfeiting case. Abby’s protecting her heart while Kyle can’t afford the feelings stirring in his. Love is out of the question…or is it the answer? “Well, I guess that makes us even, ‘cause I’m not partial to your lewd, nosy attitude.” Kyle held Boone’s gaze, as if daring the other man to make something of his answer. Boone stared back, unblinking. He wouldn’t back down from a stare-off. Most cowpunchers either worked for Raymond Bigelow or were just passing through Prophecy. Bigelow hands generally knew their place when it came to Boone Warren. Rambling men were naturally intimidated by Boone’s large size and the way he carried himself. This man was quite obviously not intimidated or impressed. Tension thickened the air as each man waited for the other to back down. Abby noticed that while Boone’s gun rested in its customary place at his hip, the stranger was unarmed. If Lachapelle noted this fact he made no sign that it mattered. And though she well knew how apt Boone was with his fists, she began to wonder if perhaps this newcomer might be able to best him in a fight. She wasn’t willing to find out the answers to any of these questions. Even the sharpness in her voice did not break the staring match. Abby frowned and forced herself between the two men, shoving Boone backwards. He broke eye contact with Lachapelle and turned his gaze to her. 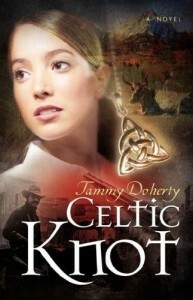 I am privileged to post an interview that was recently done with one of the CHARACTERS in CELTIC KNOT. I hope you enjoy this unique interview. It’s not often we get to see a novel from one of the people who are in the STORY! Today I have the pleasure of chatting with Millie Finnigan. Millie’s mother, Abby Finnigan, is the heroine of CELTIC KNOT. The Lost Crown of Colonnade is about overcoming almost impossible odds and limitations. It’s about the importance of friendships, love and faith in helping us deal with the struggles of life. The battle between good and evil comes into clear view in the conflict of the land of Colonnade and the desolate land of Necrus. At the beginning of the story we meet Davey Johnsen, who is almost fifteen-years-old. Unfortunately, he has lived the past 8 years of his life unable to walk without the support of braces. In his parent’s “mini-mansion” in Southeastern Connecticut, he spends time creating and living out fantasies on his giant computer screen and deep within his thoughts. With the push of one purple button he finds himself transported to a very different world or dimension. His arrival is viewed by the residents of Colonnade as a fulfillment of a centuries-old prophecy. If he accepts the words of that prophetic word, then he is faced with a daunting task, one he feels very poorly prepared to attempt. An aging Inn-Keeper, a middle-aged Army sergeant, a Captain of the Guard, a young cook, an extremely intelligent 700 pound bear and the beautiful princess of the land become his close friends. Together they form the band of seven who accept the challenge to regain the lost crown. While they travel under great secrecy into the land of Necrus, the Regent of Colonnade and his vastly outnumbered army, create a diversion by attacking the evil land’s outer defenses. Regent Stephen realizes his army has little hope of success. All hope lies with the little band finding its way through the desolate land ruled over by the King of Necrus, himself merely an underlord to Dagron, the Lord of All Evil. This week’s featured book in the GRACE AWARDS 2013 Book Launch is my own book: “The Lost Crown of Colonnade.” I am very pleased with the wonderful reviews the book has received on Amazon and in other places on the Net. You can check many of those reviews out at Buy The Lost Crown of Colonnade on AMAZON! I am currently working on Book Two in the “The Journeys To Colonnade. The working title is “The Enchanted Bride of Colonnade.” So, if you read and enjoyed Book I, there are more adventures in store for Davey, Princess Alisande, Snuffles and company. $10 SALE on ORIGINAL Paperbacks! Davey Johnsen is a physically challenged fourteen-year-old from a wealthy community in Connecticut. In a moment he exchanges the comfort of his beautiful home for the rugged terrain of an unknown land. There he meets six faithful companions who join him in the perilous journey to reclaim The Lost Crown of Colonnade. One of them is the most beautiful young lady he has ever met, the teenager, Princess Alisande. Is it all a dream, or are his new friends and the enemies he faces very real? Will this band of seven accomplish their quest, or will they fall victim to the overwhelming forces of the Evil King of Necrus and his Master, Dagron? The answers can only be discovered between the covers of The Lost Crown of Colonnade! Check Out the great books and authors that John 3:16 Marketing has to offer!